For the second year with Andrea Mura I curated the DOC section presented at the Festival of Human Rights in Milan and curated by Sole Luna – un ponte tra culture, partner since 2016 of the festival. 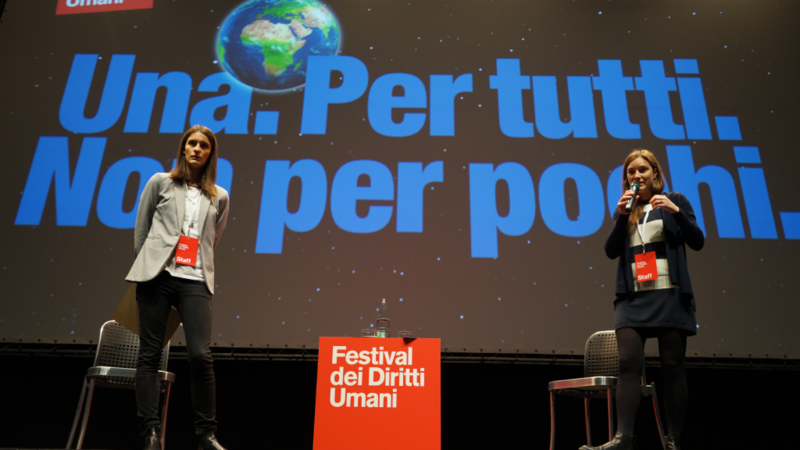 “One for all, not for a few” this is the motto of the Milan Human Rights Festival 2018. Rights, the Earth, what we can do, how it should change the economy We have chosen 8 documentaries that reflect and investigate the relationship with man and the planet. 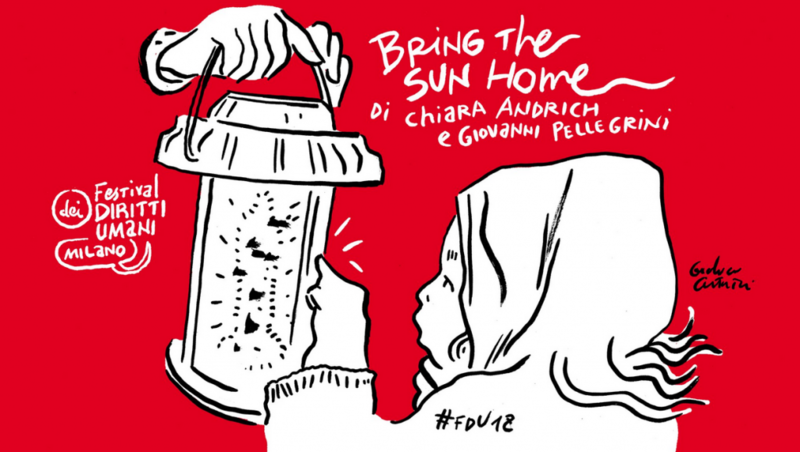 At the festival in the EDU section dedicated to schools will be projected my documentary Bring the sun home codirected with Giovanni Pellegrini, the film tells the incredible story of a group of South American women who learn to build solar panels in India and then bring the sun back home. The designer Gianluca Costantini, a guest at the Fdu, has sketched a beautiful design starting from a frame of the documentary. Thanks Gianluca!